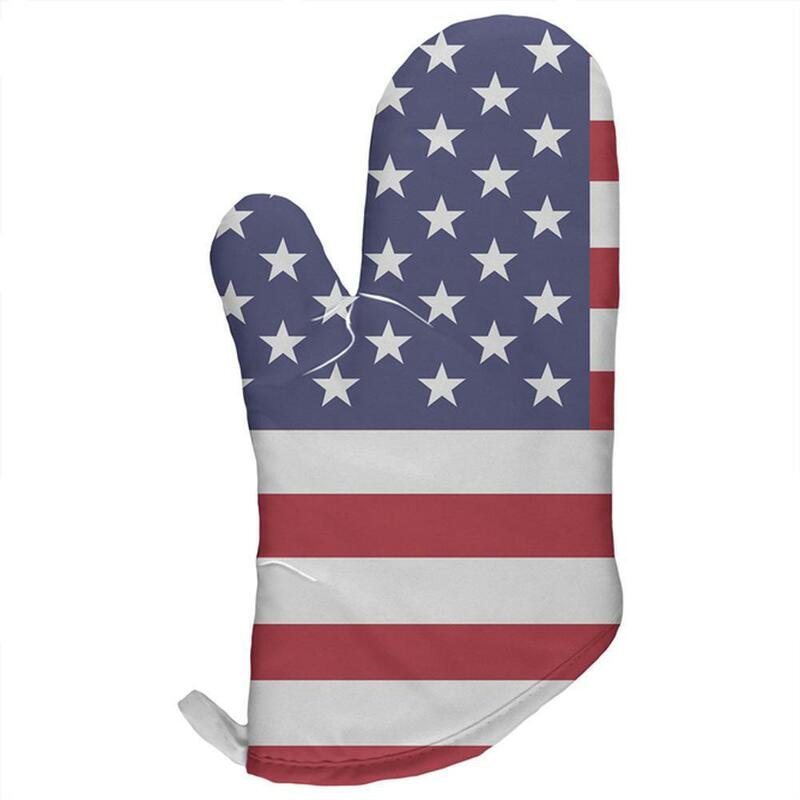 This 4th of July, show off your patriotism with this cotton/polyester oven mitt! This Old Glory design features an all-over American flag graphic. The dye sublimation printing process causes slight differences that are unique to each individual item.